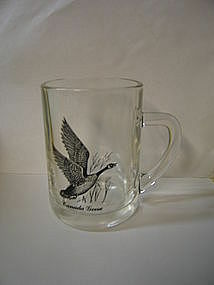 Vintage Canadian goose glass stein. It is a 16 ounce size. There is no damage. I need your zip code to calculate the postage.